Top spots for crabbing include Blakeney, Wells, Cromer and Burnham Overy Staithe. Get a packet of bacon, a crab line, a large bucket and net, stand safely on the side and cast your line. Here’s a few tips for when you have fun trying to catch the biggest crab! Be patient! Take a few minutes leaving the bait and bring the line up slowly when you see you’ve got one on the end. You don’t want to lose the crabs on the way up! There’s seasonal trips from Scroby Sands to see the seals. The seals are inquisitive and often swim around the boats and, if you’re lucky, you’ll see their heads bobbing in the water! See grey or common seals, and you may spot various species of birds as you’re on the boat ride too, basking on the sand on a nice day. Other places to see the seals include Morston and Hunstanton. Norfolk is referred to as the birdwatching capital of the UK. May and June at sunset on heathland is the time to hear Norfolk's strange bird song from the churring Nightjar. They can sing for five minutes without stopping and produce up to 2,000 notes a minute! Swifts also announce the start of Summer with their arrival, meaning warmer days are coming. Nature reserves include NWT Cley Marshes, RSPB Tictchwell Marsh and RSPB Snettisham. Go on a walk to discover beautiful scenery. The Weavers’ Way walk starts at Cromer and finishes in Great Yarmouth, and is made up of public footpaths, disused railway line and minor roads. See flint churches, wind-pumps, farmland, woods and river valleys as you walk the 62 mile route. There’s so much to discover in Norfolk and cycling is a good way to explore. 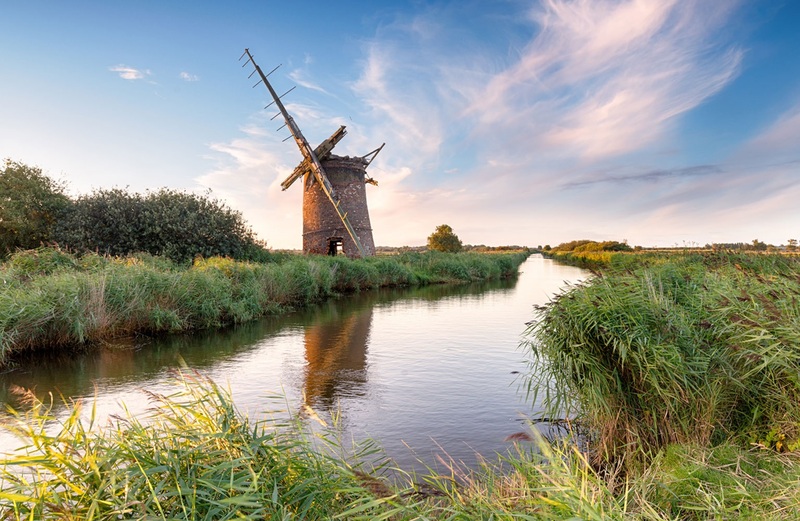 Rather than walking, you can also take a boat on the Broads to experience some of the best sights. Wroxham is ‘the capital of the broads’ and there’s a modern fleet of high quality broad cruisers to hire for the day. Decide who will be captain as the others spot wildlife, sunbathe or relax. Get crafty with natures gifts and try den building, whittling and enjoying the sense of freedom in the woods and forests around Norfolk. Take a picnic and count how many different species of birds you can spot! Learn a new bird song, listen out for a cuckoo and look up to the skies to see what you can see.